Welcome to the Housing Division website! Please explore for information on the wide variety of housing development, programs and services offered by the Community Development Department. Please visit the CDD calendar here to learn about upcoming events. The Housing Division offers both rental and ownership opportunities for low-, moderate-, and middle-income households. To learn more about how to apply for housing in Cambridge, click here. The Housing Division offers classes to assist homebuyers with the homebuying process. All classes are free and open to the public. The First Time Homebuyer class is offered ten times per year. Please click here for more information on how to register. The Housing Division supports the acquisition and development of new affordable housing in Cambridge. Homeowner's Rehab, Inc. recently completed 40 units of green affordable rental housing on Putnam Avenue and Sidney Street. Click here to learn more about Putnam Green. For more information about affordable development, click here to visit the Housing Development page. The Housing Division works to promote and maintain the socioeconomic diversity of the city by managing and implementing the City’s efforts to meet the housing needs of low-, and moderate-, and middle-income residents, and develops initiatives to preserve and expand the City's stock of affordable rental and homeownership housing. We offer access to affordable rental and homeownership units created through City programs. We work with the Cambridge Affordable Housing Trust, non-profit housing providers, and the Cambridge Housing Authority to acquire, build and preserve affordable housing. We work with private developers and owners to offer access to affordable units created by the City's Inclusionary Zoning Ordinance. We offer First Time Homebuyer Classes, pre-purchase counseling, and financial assistance for new homebuyers, and manage the City's stock of more than 500 affordable homeownership units. We work with non-profits to offer low-interest loans to assist owners in making necessary home repairs and improvements. Search this web site by selecting one of the sections below. There are pages of information on this website, including program guidelines, application forms, Frequently Asked Questions, contact names, and more. Attend one of the information sessions about the city's rental and homeownership programs. Click here for more information and a schedule of the current sessions. If you have additional questions please click on this email address housing@cambridgema.gov and send your questions to the Housing Division. Or you may call the Housing Division at 617/349-4622. Are you looking for housing in Cambridge? The Housing Division offers a variety of rental and ownership programs, as well as information on other housing providers in Cambridge. 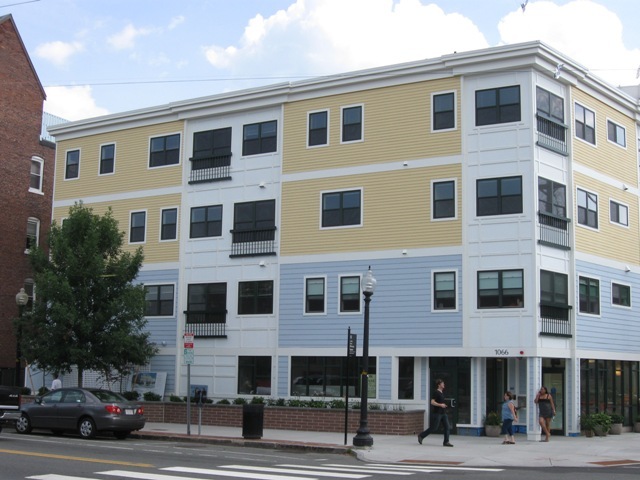 The City of Cambridge works with non-profit partners and the Cambridge Housing Authority to acquire, develop and preserve affordable housing throughout the City. If you are considering buying a home, the Housing Division can help. We offer a free First-Time Homebuyer class, as well as classes such as Credit to help you get ready to purchase. There are also financial programs to help income-eligible buyers with a downpayment and more. The Cambridge Affordable Housing Trust is a nine-member board whose mission is to expand and protect affordable housing opportunities in Cambridge. Acting as both a policy advisory board and a loan committee, Trust members bring expertise in a wide range of housing-related fields.